In 1940Harold Churchill left his medical practice in Norfolk to join the army as a medical officer. After a brief time in India he was sent to Singapore and was here taken prisoner by the Japanese on February 15th 1942. During the captivity he and his fellow officers had the daunting task of caring for the sick and wounded among the many thousands of prisoners of war, first in Changi Camp and later in the camps beside the Burma Railway. He managed to keep a diary on rice paper which he buried in a tin to keep it from the Jap guards. Later, as a form of therapy , he wrote this upint the memoir which forms the first half of this book. 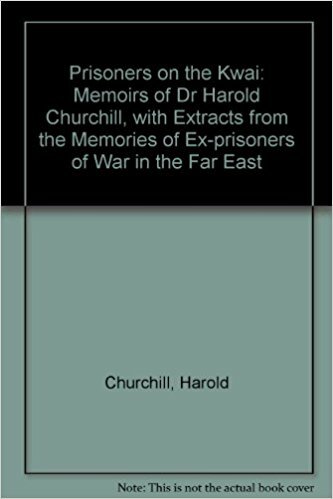 The second half of the book is made up of extracts from the memories of surviving Far East Prisoners of War, recorded by Dr Susan Palmer from interviews, or written down by them after they came home. They make compelling reading. More than 12,000 men did not come home.